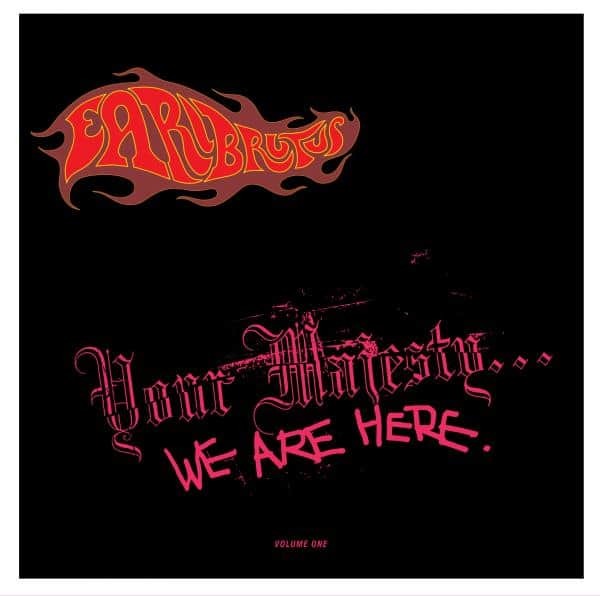 Earl Brutus form in 1993 and release a handful of singles before their debut album Your Majesty… We Are Here on Deceptive Records in 1996. They are chaotic, glam-rock, glitter-stomp British Pop. They think Bowie, T-Rex, Kraftwerk and The Fall. There are chaotic live shows that become folklore and their reviews and interviews impressive. Your Majesty… features in Q Magazine’s Top 50 Albums of the Year in 1996 and in 1000 Albums To Hear Before You Die. Your Majesty… has been long unavailable and is now re-issued as a heavyweight LP with Black Speedway appearing on vinyl for the first time. This vinyl re-issue is on heavyweight 180gsm vinyl and includes an MP3 download card specially designed by Scott King for this release.